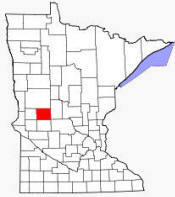 Douglas County is a county located in the U.S. state of Minnesota. As of 2000, the population was 32,821. 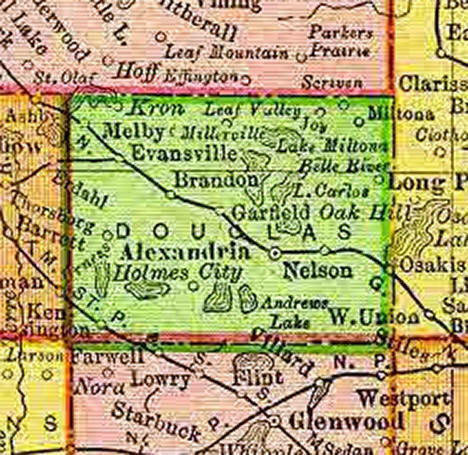 Its county seat is Alexandria. 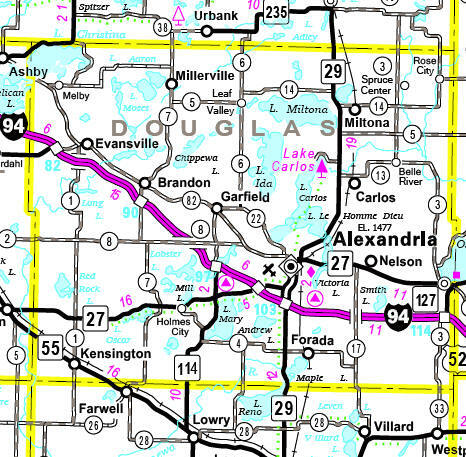 Douglas County is the home of Minnesota's only wine-grape appellation, the 10,880-acre (44 km²) Alexandria Lakes Area AVA. According to the U.S. Census Bureau, the county has a total area of 720 square miles (1,865 km²), of which, 634 square miles (1,643 km²) of it is land and 86 square miles (222 km²) of it is water, comprising over 250 lakes. The total area is 11.89% water.